Cpl Rabin Koyee Rai from Queen’s Gurkha Signals was awarded this year’s Fishmongers’ Gold Medal Award. He received the medal for his contribution to Recruit Intake 15 training in Gurkha Company Catterick and for raising thousands of pounds towards the Nepal Earthquake Relief Fund. 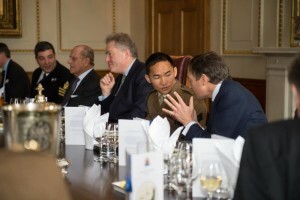 The award ceremony took place on 10 Mar 16 in The Fishmongers’ Company Hall, Central London. The Fishmongers’ Company is one of the oldest City Guilds, with a rich history that expands over 700 years. 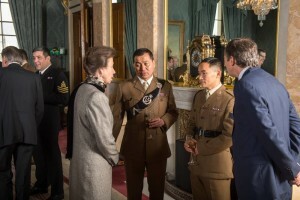 The Gold Medals were presented by the Prime Warden to the outstanding performers from various Arms and Services affiliated with the The Fishmonger’s: The Brigade of Gurkhas, The Royal Navy units and The Parachute Regiment. 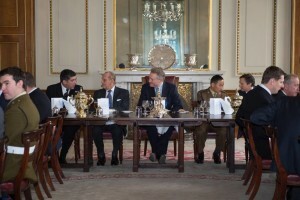 The Prime Warden presented five gold medals to this year’s winners. The event commenced with a guided tour of the Hall followed by pre-lunch drinks, medal presentations and then lunch. 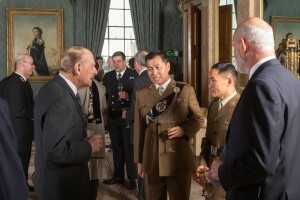 The presence of HRH The Duke of Edinburgh, HRH Prince Philip, and The Princess Royal, HRH Princess Anne, made the event a once in a lifetime opportunity for the medal recipients.